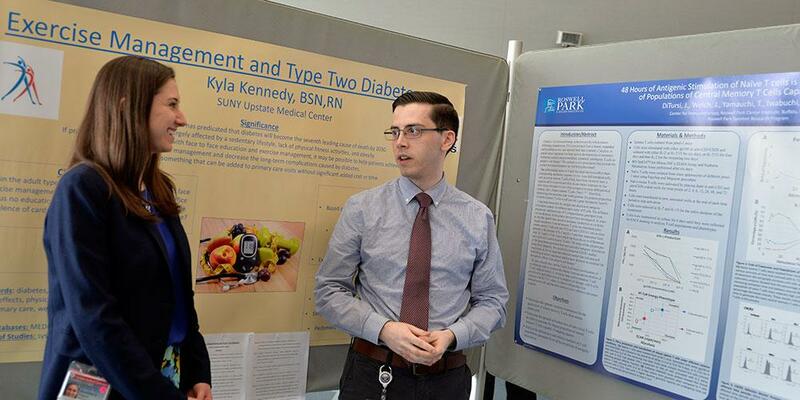 Our Medical Students at SUNY Upstate Medical University have the opportunity to conduct high-impact innovative research that enhances scientific knowledge across numerous disciplines and promotes medical and technological discoveries. Through my research in South America, I made great connections, presented my research, and published a book chapter. It was one of my favorite experiences in medical school. Whether it’s because of a soft spot for wet lab, or eagerness to answer clinical questions, research provides students an opportunity to devote undivided attention to their pursuit of knowledge and dive deep into their niche interest. It doesn’t get better than that. Being able to do research opened up multiple opportunities for me. I was able to experience interacting with individuals outside the medical field. I had an experience in looking at the work that needs to be done in order to make medical advances. Being able to network outside my field also provided me with connections that I otherwise may have not been exposed to. Because of the research I was able to present my work and even become published, with each of these things contributing to opening up other research opportunities for me. Last Modified: January 15, 2019. Contact Danielle Limer-Nies with questions about the content of this page.